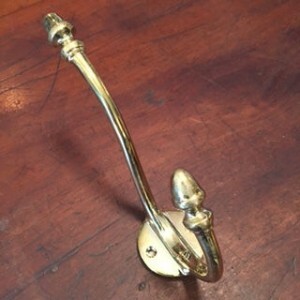 A classic period design. 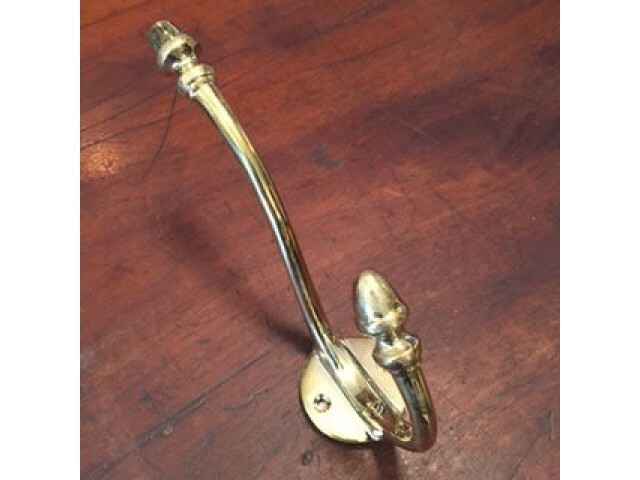 - Solid brass Acorn Coat & Hat hook, perfect for use individually or in a row. Measures; Overall length 190mm; Backplate measures 50mm x 50mm; Protrudes 110mm from the wall. Also Available in Small - PF2776.